The typeface ‘Cloister’ is of my own design. It was inspired by the architectural detail of monastic buildings such as Tintern and Dunbrody Abbey, County Wexford , Ireland. 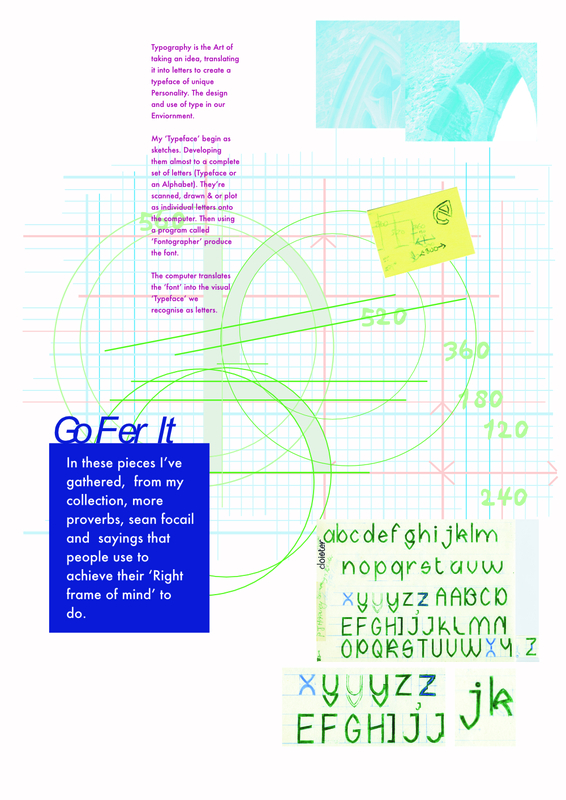 Cloister was created through a process, involving photography, sketches, design, drawing, planning, scanning input and output as a computer useable font.